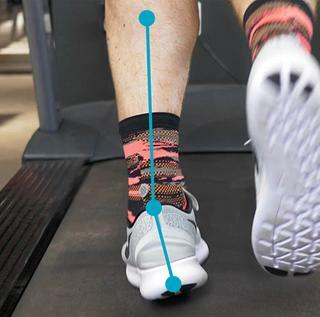 Gait analysis is a method for identifying biomechanical abnormalities in the gait cycle - in other words, it’s a way of assessing the way in which you walk and run. All Runners Need stores offer free gait analysis as part of a comprehensive fitting process. 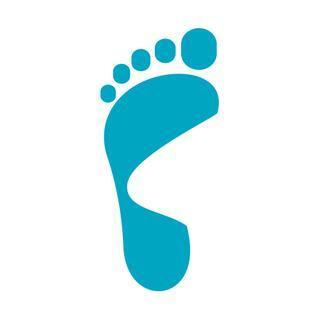 Using cutting-edge video technology our trained staff are able to analyse the way in which your foot strikes the floor, and determine whether your foot rolls inwards (pronates), doesn't roll inwards enough (overpronates/supinates) or stays neutral. This information, combined with an understanding of your injury history and the kind of distances you regularly run, allows us to correctly identify an appropriate shoe for you from our extensive range. Our in-store gait analysis stations comprise of a treadmill, camera, and a laptop equipped with industry-leading Dartfish software. 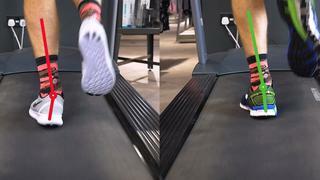 The first stage of the process is to capture a short video – around 20 seconds – of you running on the treadmill in a neutral shoe with little or no cushioning. This will help to highlight abnormalities in your gait. Based on an assessment of the footage, we’ll then select a second pair of shoes suited to your foot type and the way in which you run. This will either be a stability – sometimes called structured – shoe to correct pronation, or a neutral shoe for runners with a neutral or overpronated/supinated foot motion. After you’ve completed the second run, we’re then able to compare the footage side by side and assess the results. The whole process takes about 15 minutes and will require you to run at a steady pace for around one minute. You don’t need to book in advance, but please note that during peak times – lunchtime between 12 pm and 2 pm and Saturdays – there may be a short wait. Pronation refers to the way in which your foot rolls inwards as it strikes the floor. It’s your body’s way of distributing impact, and a natural part of the gait cycle. Understanding your pronation type is important for selecting the right type of running shoe and ultimately could help you to avoid injury. Around 70% of the population overpronate, so this is by far the most common pronation type amongst runners. As the foot is planted it rolls inward excessively, transferring weight to the inner edge instead of centering it on the ball of the foot. It’s usually seen in runners with low arches or flat feet. Sometimes called supination, this is when the outer side of the foot strikes the ground at a steeper than normal angle with little or no movement inward, causing a jarring effect, and a large transmission of shock through the lower leg. It’s usually seen in runners with high arches. Usually seen in runners with normal-size arches, neutral pronation occurs when the foot lands on the outer edge and then rolls inward in a controlled manner, distributing weight evenly and helping to absorb shock. On push off, there is an even distribution of pressure from the front of the foot. Potential injuries: Injuries are less likely for neutral runners. If you can’t make it to a Runners Need store to have your gait analysed there are ways of checking it for yourself. 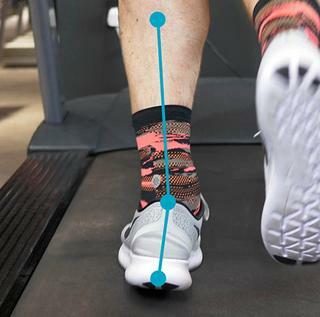 These tests are particularly handy if you’re concerned that your gait may have changed since your last assessment, but please note: they should only serve as a guide. Simply wet the sole of your foot, step onto a piece of heavy-duty paper – or a dark tile or paving slab – and examine the footprint you leave behind. 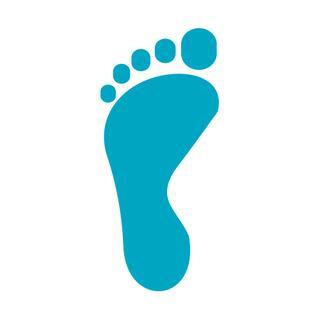 The degree to which the sole of your foot is visible in the footprint will give you an indication of your arch type – and the kind of shoe you might need. Stand out style, unrivalled performance. The most expensive pair isn’t necessarily the right pair for you, so don’t be tempted into thinking that a higher price always equals a better shoe. We usually recommended you buy trainers half a size to a size larger than your normal shoes to accommodate foot movement and swelling during running. 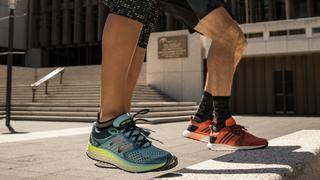 Shoes that might feel comfortable to you when walking about the shop won’t necessarily feel that way when running, so make sure that you always take the shoes you intend to buy onto the treadmill for a test run.